Aging Gracefully – Tips To Help Make Retirement Planning Painless March 27, 2018 by David Goldstein Articles, Featured, Financial Planning for Seniors - The biggest issue most seniors face as years advance is lack of planning beforehand. Your best chances of aging gracefully come when you have a plan in place designed to carry you through your twilight years. Life, circumstance, and human imperfection often prevent this from happening. If you can plan ahead, do so. If you … Continue reading "Aging Gracefully – Tips To Help Make Retirement Planning Painless"
What Is a Reverse Mortgage – And Is It a Good Idea? August 13, 2017 by Jennifer Grey Articles, Family Issues, Financial Planning for Seniors - A reverse mortgage is a type of loan where the bank makes available the value of the home’s equity. The homeowner can withdraw the principal of the mortgage in a lump sum, in monthly payments, as a revolving line of credit, or in a combination of these options. 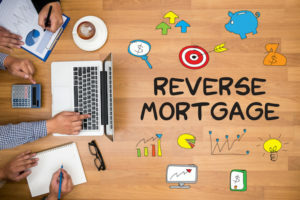 With a conventional mortgage, the homeowner pays … Continue reading "What Is a Reverse Mortgage – And Is It a Good Idea?" Six Things You Should Know about Long-Term Care Insurance August 13, 2017 by Jennifer Grey Financial Planning for Seniors - Approximately 70% of adults in the US will need some form of long-term care—either as they age, or as a result of an illness or injury. Long term care is categorized as a wide range of ongoing medical and non-medical services and assistance with daily living activities. These could range from in-home nursing care to … Continue reading "Six Things You Should Know about Long-Term Care Insurance"
The Home Affordable Refinance Program Gets an Overhaul: How It Could Help You August 13, 2017 by Jennifer Grey Financial Planning for Seniors - In 2009, President Obama introduced the Home Affordable Refinance Program—an attempt to help a predicted three to four million people struggling with their mortgages to refinance. However, as of July 2010, only about 390,000 people had had their mortgages permanently altered under the program. Recently, the government implemented new changes in an attempt to expand … Continue reading "The Home Affordable Refinance Program Gets an Overhaul: How It Could Help You"
How the European Debt Crisis May Affect Retirees August 13, 2017 by Jennifer Grey Financial Planning for Seniors - If you’re a retiree in America, you might think the European debt crisis is far away—and has little to do with you. You would be wrong. If the European economy collapses, it’s entirely possible that it could have a ripple effect felt in markets throughout the world. Here are just a few of the theoretical … Continue reading "How the European Debt Crisis May Affect Retirees"
Government Programs For Seniors: Budget Cuts That May Affect You in 2012 August 13, 2017 by Jennifer Grey Financial Planning for Seniors - 2011 was a year of dramatic budget battles and clashes over government spending. Many programs affecting seniors were cut as a result of the budget battles, while others were left unfunded. Here are a few programs that were affected. The Low Income Home Energy Assistance Program This program helps those with financial need pay their … Continue reading "Government Programs For Seniors: Budget Cuts That May Affect You in 2012"
How to Apply for Disability Benefits August 13, 2017 by Jennifer Grey Financial Planning for Seniors - Social Security Disability benefits are there to provide for people who can’t work anymore due to accident, illness, or injury. Over eight million people receive disability payments every month. It’s not easy to qualify for the benefits, but the process may be worth it for you. Here’s what you need to do to apply. Apply … Continue reading "How to Apply for Disability Benefits"
Social Security Penalties: What They Are, and How to Avoid Them August 13, 2017 by Jennifer Grey Financial Planning for Seniors - The amount you earn per month in Social Security payments is determined by a complicated algorithm that assesses the amount you’ve earned over your lifetime in government and nongovernment jobs. It’s also affected by the age at which you start withdrawing money, your additional earnings from other sources, and whether you already receive a government … Continue reading "Social Security Penalties: What They Are, and How to Avoid Them"
Retiring Soon? Four Things You Need to Do to Get Ready August 13, 2017 by Jennifer Grey Financial Planning for Seniors - Maybe you’re looking forward to retirement—or maybe you’re dreading it. Either way, you’re almost there—and now is the time to start thinking about how to prepare. Here are a few ways you can make sure you’re ready for retirement when it comes. Know what you’ll need The typical formula is that you’ll need 70% of … Continue reading "Retiring Soon? Four Things You Need to Do to Get Ready"
Forced to Retire? Ask These Questions Before You Leave August 13, 2017 by Jennifer Grey Financial Planning for Seniors - Millions of Americans have been forced to take “early retirement” packages in recent years—even in companies that are financially stable. This can be a shock, especially to employees who’ve dedicated years of faithful service to an employer. But when you’re forced to take early retirement, you have to look out for yourself first. Before you … Continue reading "Forced to Retire? Ask These Questions Before You Leave"